Remember finger puppets? We were looking for a kid-friendly project one day, and I remembered these. 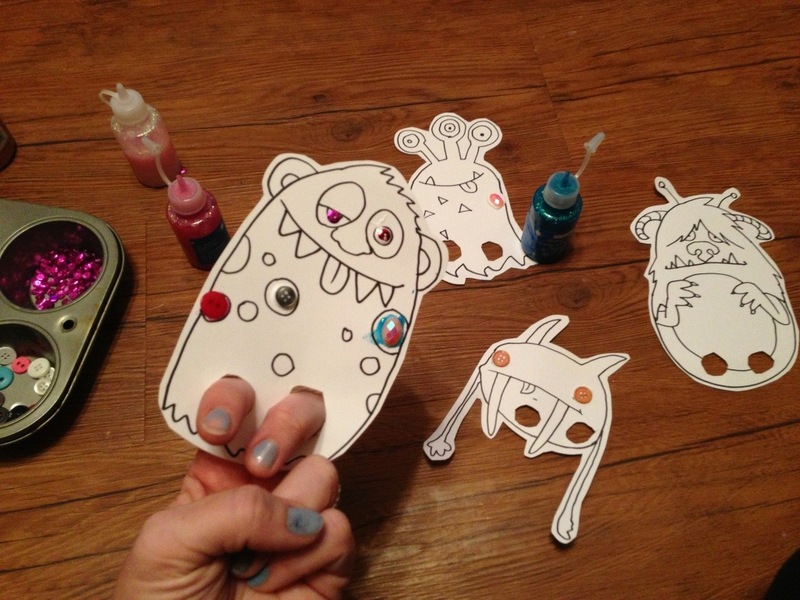 I got some white card stock, doodled a few monsters (with no legs, of course), and cut holes out for little fingers. The fun part was letting her decorate them. 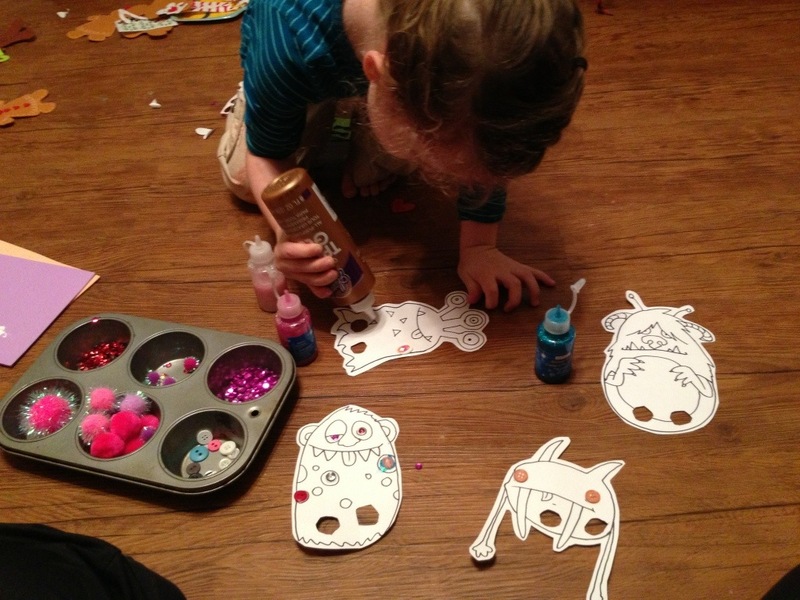 I put a variety of sparkles, sequins, plastic jewels and puffs in a muffin tin and let her go wild!